The WNA Task Force on Licensing and Permitting was set up jointly by the WNA CORDEL and Law Working Groups in 2011, with an objective to identify best practices in licensing and permitting for nuclear new build. Based on a survey conducted by the Group a report entitled “Licensing and Project Development of New Nuclear Plants” was published in 2012. Based on the recommendations of this report, the Group decided to hold an International Conference in which institutional stakeholders, including the industry, Governments and regulators could further explore the conclusions of the report and other potential areas of harmonization. The objective of this Conference is to provide a forum for discussion between the industry and the regulators to identify opportunities to improve coordination in licensing processes with the development of nuclear new build projects. The results will be presented in a summary document with proposals to be considered by countries about to launch a new nuclear power programme. 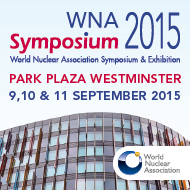 The Conference will focus on the management of regulatory risk in the licensing of a nuclear new build project. Those stakeholders involved in licensing which carry risks – that is, mainly the commercial entities – should be enabled to control and minimise these risks within the framework of strict regulatory requirements on safety, security, safeguards, environmental protection and other relevant issues. In line with the main field of work of the WNA CORDEL Working Group, standardisation of reactors and components as well as harmonisation of regulatory approaches in licensing and regulation would be a major contributor to managing the project risk. Procurement, documentation, supply chain, manufacturing oversight. Any stakeholder in nuclear new build taking an interest in issues of regulation and their impact on project development. Please note, there is no fee for attending this event.